Hopefully you’ve been perfecting your nail art skills this summer because it won’t be long until school begins. When you head back to school, we want you looking your very best so your clothes, hair, makeup, and nails must be flawless. 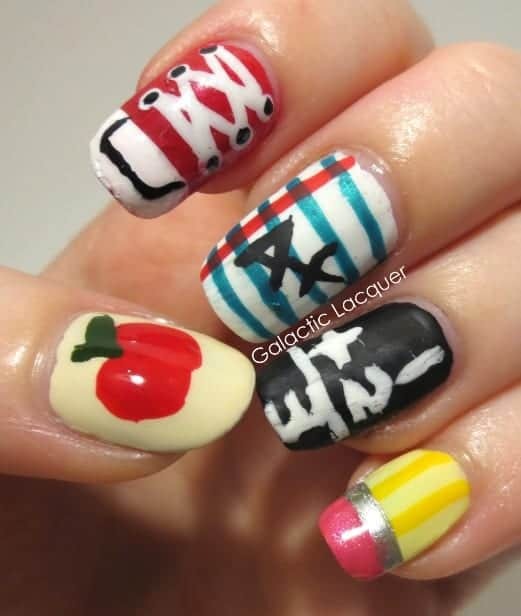 So we’ve rounded up some awesome school- appropriate nail designs that you can replicate and show off to your friends. Free Bonus: Browse our list of free nail polish samples that features on-trend colors for your tips!